The Homeschool Buyers Co-op is pleased to present the BEST DEAL ON THE PLANET for BrainPOP®’s award-winning educational resources, including BrainPOP Jr.®, BrainPOP, BrainPOP Español™, and, for English language learners, BrainPOP ESL™. BrainPOP content engages students through animated movies, educational games, interactive quizzes, informational texts, online activities, and more in a variety of subjects. 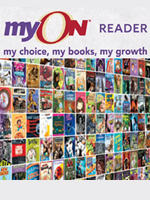 By joining this GroupBuy, members save 20% on one-year Family or Homeschool subscriptions to these BrainPOP resources. This offer is available to new subscribers only. If you wish to renew, you can do so online directly through the BrainPOP store here. If you have any questions, please contact BrainPOP directly on 866-542-7246 or via email. Engage your children with BrainPOP! BrainPOP resources are used in numerous ways, from introducing a new lesson or topic to illustrating complex subject matter. Teachers can keep track of learning with My BrainPOP, for Homeschool Access subscribers only, which allows them to see quiz results and class-wide analysis; review and provide feedback on learning artifacts; and more. BrainPOP supports differentiated learning to meet the needs of students with multiple learning styles. All content is aligned to academic standards and searchable with an online Standards Tool. 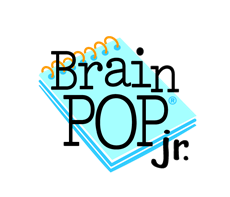 BrainPOP Jr Ideal for students in kindergarten through 3rd grade, BrainPOP Jr. offers age-appropriate animated movies, quizzes, learning games, and activities covering hundreds of topics within Science, Reading & Writing, Math, Health, Social Studies, and Arts & Technology. 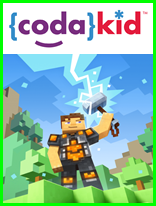 It encourages young learners to ask questions and form their own ideas. Student work created with interactive features like Write About It and Draw About It - as well as the interactive quizzes - extends key concepts and can now be submitted through My BrainPOP for teacher feedback. All text is read aloud to facilitate comprehension. BrainPOP Designed for students in grades 3 and up, the mobile-ready BrainPOP offers hundreds of curricular topics within Science, Social Studies, English, Math, Engineering & Technology, Health, and Arts & Music. Movies are reinforced with interactive quizzes, learning games, primary source activities, concept mapping, and more. BrainPOP Español + Français BrainPOP content in Spanish and French. Ideal for native and bilingual speakers and for dual language programs. BrainPOP ESL Uses lively, engaging content to teach English. Lessons are built around animated movies and supporting features that reinforce vocabulary, grammar, pronunciation, reading comprehension, and writing skills. A placement test helps determine where in the program students should start, and quizzes help them assess when to progress. Visit the "About Us" section on BrainPOP. Take a short tour of BrainPOP. Note: To view the other "Resource Screencasts" on this page, you will need to either have QuickTime installed or allow the screencast to play. Try out BrainPOP's "Free Stuff" to narrow down the best option. Review the complete Topic List for BrainPOP by subject area. Fulfillment: Orders placed each week up through Thursday midnight PST will be sent to BrainPOP for fulfillment each Friday. Please allow 10 business days to have your subscription set up after the weekly cutoff. BrainPOP will email you directly with your subscription information. If you do not receive an email within 10 business days of the weekly cutoff, please contact BrainPOP directly at Subscriber Relations as the Co-op will not have your subscription information. BrainPOP Educators Avail yourself of the training materials, lesson ideas, best practices, graphic organizers, and other tools on BrainPOP Educators, BrainPOP’s hub for teachers. 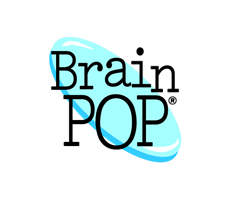 Note: BrainPOP has been redesigned and now gives you access from your mobile browser. For access to BrainPOP Jr., BrainPOP Español, BrainPOP Français, and BrainPOP ESL from a mobile device, download the corresponding app and log in with your regular username and password. Returns/Cancellations: As this is a special group purchase, you cannot back out once you place your order. In order to bring you these great prices, we cannot accept returns or cancellations. Please be sure you want this subscription BEFORE you purchase. To be absolutely sure, you should try out the BrainPOP product in which you are interested: visit their "Free Stuff" section and review the complete list of topics. Annual subscription for one (1) user. Please be sure to enter a Desired Username below. You'll receive a temporary password, which you can change the first time you log into BrainPOP. Note: Should you wish to have a subscription that includes My BrainPOP, you will need to purchase the corresponding Homeschool version of BrainPOP below. BrainPOP Español + Français Family Access: Annual subscription for one (1) user. Note: BrainPOP Español + Français does not include My BrainPOP. Uses lively and engaging content to teach English to speakers of other languages, at various proficiency levels. Lessons are built around animated movies that introduce new words and usage, supported by interactive and printable features that reinforce vocabulary, grammar, pronunciation, reading comprehension, and writing skills. For one user at one homeschool site. Note: BrainPOP ESL does not include My BrainPOP. Annual subscription for up to three (3) users. Includes My BrainPOP access for one instructor and up to three students. 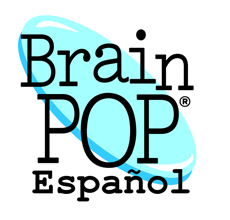 BrainPOP Español + Français Homeschool Access Yearly: Annual subscription for up to three (3) users. Uses lively and engaging content to teach English to speakers of other languages, at various proficiency levels. Lessons are built around animated movies that introduce new words and usage, supported by interactive and printable features that reinforce vocabulary, grammar, pronunciation, reading comprehension, and writing skills. 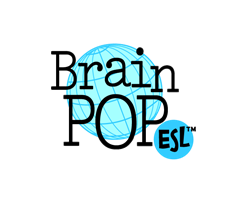 BrainPOP ESL Homeschool Access is recommended for non-native speakers at all proficiency levels. 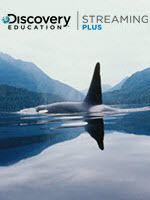 Annual subscription for use with up to 3 homeschool students.